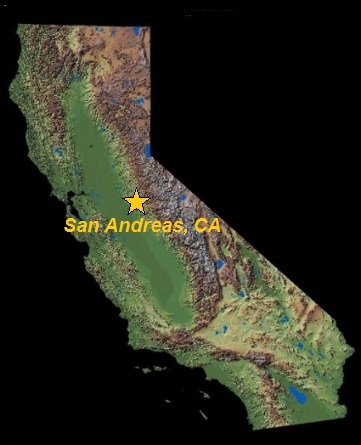 The town of San Andreas California was founded in the winter of 1848 by Mexican miners that discovered gold in rich gravel deposits. The small town was most likely named in honor of Saint Andrew. It was on his day, November 30th of that founding year that the first mass was celebrated in the region. Many attribute the name of the town to a handful of Mexican miners who were devoted Catholics. 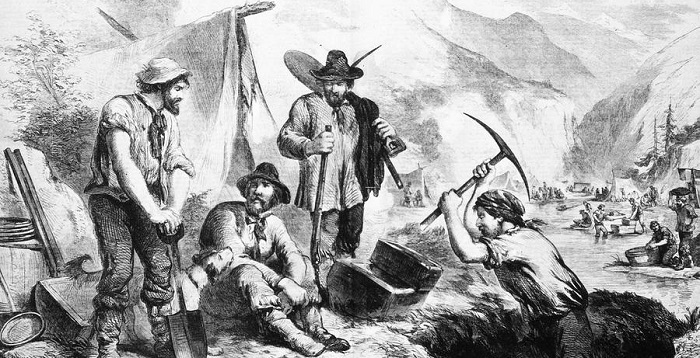 By 1849, the Mexican population had grown to over 1000 miners and got the attention of many other people. Just a year later, the town was crowded with thousands of American, French, and Chinese miners, all of them with the hopes of striking it rich in the California goldfields. San Andreas became a mecca for those that sought to make their fortune. San Andres is known for a few major points in its crazy Wild West history. This was truly a wild mining camp that is exactly what you might picture when you think of the early days in the West. The first notable tale would be the famous San Andreas Nugget which was the largest found at the time (1854). It weighed 214 pounds and eight ounces troy. This massive gold nugget was sold to Wells Fargo for $12,000. 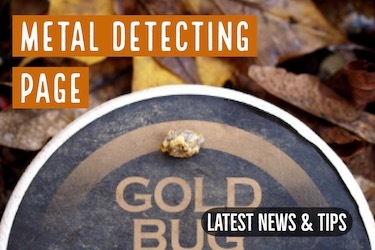 This nugget was melted down long ago, but it was one of the most impressive gold discoveries in the entire world, rivaling some of the largest gold nuggets found anywhere. Another major scoop in the San Andreas time line is the crime, specifically the notorious robberies. This is especially true for the infamous “Gentleman Bandit” known as Black Bart. He was known for stage robbing Wells Fargo and many others throughout the California goldfields including Weaverville and many camps along the Yuba River. He was called a gentleman because he never harmed drivers or passengers in his heists and always left behind an original verse signed “PO8”. However, on November 3rd, 1883, Black Bart held up the Milton-Sonora train leading to his demise. As he was wounded in the midst of the robbery, he left behind various belongings including a handkerchief with a laundry mark “FX07” that was traced back to Charles E. Bolton, a prominent businessman with major connections to the police department. He was detained and confessed. Later, he was sentenced to 6 years in San Quentin Prison. 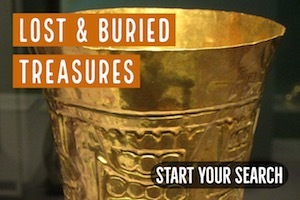 His jail cell can still be visited as part of the Calaveras County Historical Museum Complex. With the influx of miners, the town grew a life of its own. Suddenly on main street could be found shops for goods, as well as saloons, and boarding houses. The first frame building in town was built in 1851, the Bella Union. This building served as a courthouse, saloon, gambling hall, and general meeting place. Along with these developments came water ditches that were built to keep the digging going all year long. The “Silver Ditch” was built in 1851 by Captain Robert Pope and provided water from nearby Willow Creek. The “Union Ditch” was built to provide water of Murray Creek. The first hotel in the region was built by Phillip Piper in 1851. All this activity died out briefly as the placer deposits which made the area so popular gave out. However, Orson Murray and Captain A.P. Ferguson discovered gold in an ancient river channel that ran down the length of San Andreas that was extremely rich. 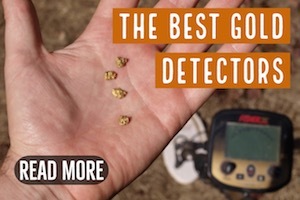 When it was first found, it was rumored that seventy-six ounces of gold were recovered from a single load of dirt which is very high even for that time. The channel discovered passed from the southern area below the town and continued under Gold Hill, meaning that it traversed most of the area. 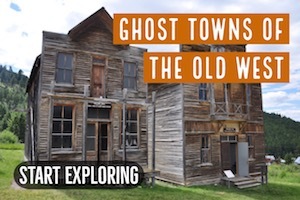 This revived mining town kept growing and by November of 1854 the post office arrived. In fact, so many people came to the town that the streets themselves were named after them such as French Street and Spanish Avenue. With the growth of the town, came some drawbacks. One such drawback, though common due to wooden structures and dry weather, were consistent fires. In 1854, the first large fire was recorded in the town. Fortunately, because of the prosperous mining activity, the town was able to rebuild. However, again in February of 1856, the town was set ablaze again burning most of the southern part of the town. The third and most devastating fire came in June of 1858 where a fire discovered by a private watchman lead to the devastation of most of the town. Despite the early discovery, a lack of significant water lead to the most of the town burning. After this fire, most of the reconstructed building were built of brick in an effort to decrease these tragedies. The channels discovered however were able to fund all of the rebuilding costs and kept the town thriving. The richness of the gold deposits were considerable, and fueled the mining activity for years and years. By 1867, the Pug Ugly Company reported production of $1,100 a day with other mines reporting similar earnings. 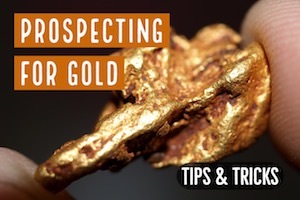 The amount of gold dust to be shipped yearly from the small area was over $500,000 which in today’s market value would be 16 million dollars’ worth of gold. This made San Andreas one of the largest and most populated towns in Calaveras County which is why it was designated the seat of the county. Despite a brief period where the seat of the county was changed due to Amador County being created and land being redistributed, San Andrea in the end retained the seat of the county to this day. Although the heyday of gold mining has slowed considerably over the past century, San Andreas has remained the county seat of Calaveras County. There is currently a population of around 2,500 people in the town. 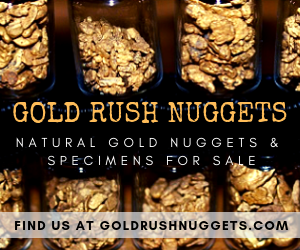 There is certainly still gold to be found in the San Andreas area, and this is a popular place for gold prospectors who live in nearby Sacramento and Modesto. Remember that a gold nugget weighing 214 pounds was once found here! While you might not find one that big, there are certainly still some big ones that are hidden out of sight and waiting to be unearthed.